Researchers from Medicine, Chemistry and Biological Sciences in the University’s Institute for Life Science (IfLS) have been collaborating with Microsoft Research UK to investigate the function of the antigen-presenting protein MHC1. 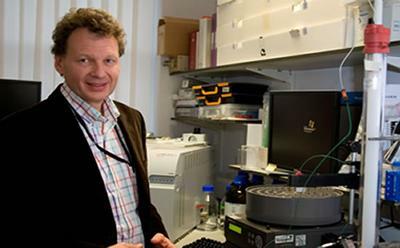 The team’s discoveries could have a major impact on the future of medical treatment and in the long term could see the development of cancer immunotherapies and vaccines against infection. It could also help to reduce allergies such as contact hypersensitivity by understanding how the additives used in healthcare products are detected by the immune system.